For 29 years, our solutions in six major disciplines have included powerful products, a razor sharp team, and a growing and innovative portfolio that enables you to develop the competitive advantage you need. 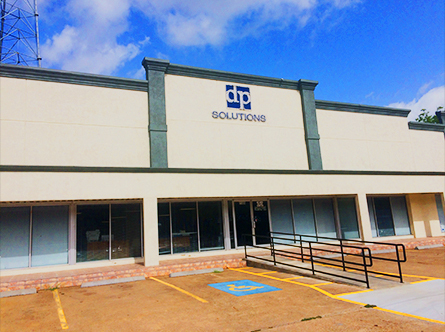 Founded in 1988, DP Solutions is a managed services provider serving businesses locally in East Texas and throughout the United States and Canada. Through expert planning, management and support, DP Solutions is a trusted IT partner for leading organizations in variety of industries. From strategy and maintenance to around-the-clock response, DP Solutions keeps your network safe, efficient and effective. With a range of customized solutions, DP Solutions can serve as your fully outsourced IT staff, supplement your in-house team, or assist with special projects and strategic initiatives. As a partner of Microsoft, VMWare, IBM/Lenovo and other enterprise class technology companies, DP Solutions is qualified to implement the latest technologies to help your business grow. Our affiliations include some of the most respected names in the industry. Our expert services take you off of the costly installation and upgrade treadmill by continually providing the latest proven technologies – fully managed, redundant, secure, and affordable. Our technology solutions cut costs and put your company in a position to prosper.